Ever wonder why teenagers are so quick to adopt Instagram, Snapchat, and other forms of social media? Or take up X Games sports such as skateboarding and snowboarding? A new report by the Alliance for Excellent Education (All4Ed) explains how changes in the brain make adolescents more likely to be influenced by their peers, take risks, and even become disengaged in school as their motivations change. It also includes advice and guidance for educators, parents, and policymakers. 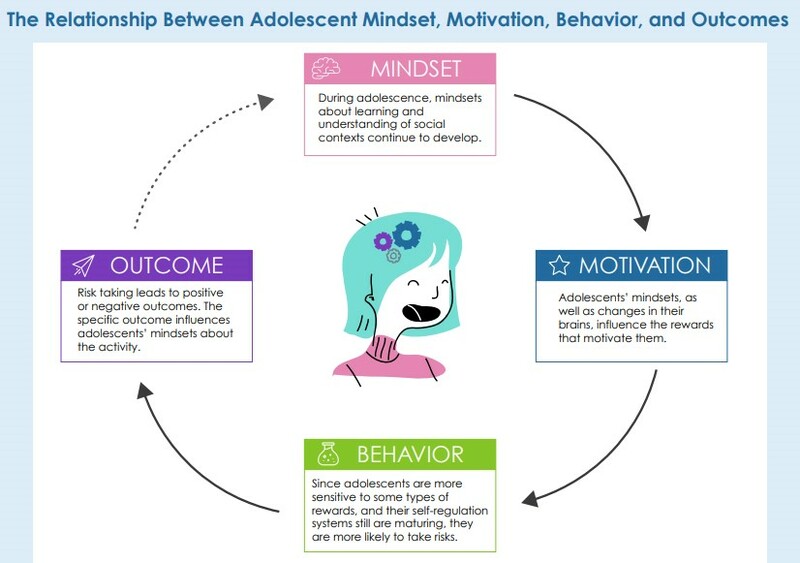 According to the report, Science of Adolescent Learning: Risk Taking, Rewards, and Relationships, changes in the adolescent brain’s reward-processing systems combined with adolescents’ experiences in new social contexts affect what motivates adolescents and, subsequently, how they learn. As shown in the image above, adolescents are more sensitive to the effects of certain rewards, especially social recognition rewards, which leads them to higher instances of reward-seeking and sensation-seeking behaviors, especially if peers support that behavior. But while adolescents’ “risky” behaviors often are associated with negative choices such as crime or drug use, that does not have to be the case. Instead, educators can provide adolescents with school-based opportunities to take risks associated with positive academic and social outcomes—such as trying out for the school play or starting a business. Once students reach adolescence, engagement at school declines for many students, specifically their motivation to learn and the perceived value they assign to school tasks. 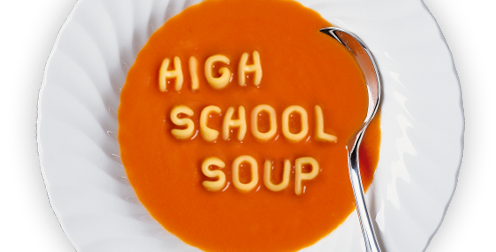 This decline in middle and high school may result from a lack of developmentally appropriate motivation that aligns with adolescents’ changing needs and tendencies, the report notes. Motivations for adolescents tend to be tied to social status, shared peer values, emotion, and a desire for thrilling and novel experiences. Values, such as growing autonomy or a commitment to social justice, can motivate adolescents to learn and engage in extracurricular activities. A school culture that allows students to purse their own learning in engaging ways also can inspire academic achievement and a lifelong passion for learning. Contrary to popular belief, adolescents do not value the approval of their peers over that of the adults in their lives, rather they value their peers in addition to the support and advice they receive from trusted adults. The nature of adolescents’ social relationships changes as they grow into self-sufficient adults. In adulthood, much of an individual’s social life is driven by their peer group, including their working and romantic relationships; however, that does not mean that adults automatically ignore their parents and older generations. As adolescents transition from being completely reliant on their older family members to learning to take care of themselves, the role of the adults in their lives must shift to support them. Adults still play a significant role in supporting adolescents in becoming increasingly independent, communicating consistent expectations, and monitoring the activities and emotional wellness of adolescents, in addition to shaping their environments and peer groups. 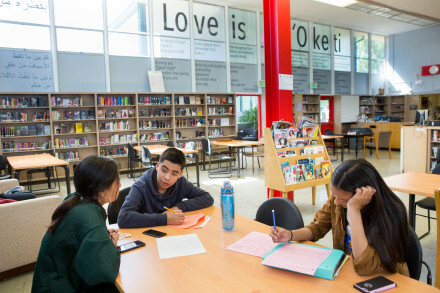 To help navigate the changes students experience during adolescence, the report recommends that educators connect learning to topics that interest students and use lunch time, student advisory and homeroom periods, or other less structured time to build supportive relationships with students separate from discussions about academic progress. School and district leaders can provide opportunities for students to engage in high-quality service learning and work-based learning that motivate students and provide them with opportunities to build positive relationships with peers and adults in their community. Additionally, schools and districts can partner with colleges and businesses to offer on-campus experiences, college-level course work, career training, and internships that provide opportunities for students to establish and work toward their own academic, career, and social goals. The report recommends that policymakers find ways to support and incentivize teen mentorship programs, consider incorporating high-quality service-learning opportunities into high school graduation requirements, and encourage schools to offer college courses and provide pathways for students to earn industry credentials and obtain work experience while in high school. Science of Adolescent Learning: Risk Taking, Rewards, and Relationships is the second of four reports informed by All4Ed’s Expert Advisory Group, composed of twenty-two experts and researchers in adolescent learning and development. Together, these experts have agreed upon a set of twenty essential findings, or consensus statements, that educators, policymakers, and parents need to know about how adolescents learn and develop. The report lists all twenty consensus statements but focuses on the five statements centered on risk taking, rewards, and relationships. The first report in the series examined changes in the body and brain while future reports will focus on valuing culture, experiences, and environments and how identity and empowerment influence student learning. For more information on All4Ed’s Science of Adolescent Learning initiative, visit all4ed.org/SAL. Featured Image by Allison Shelley/The Verbatim Agency for American Education: Images of Teachers and Students in Action. Jason Amos is vice president of communications at the Alliance for Excellent Education.